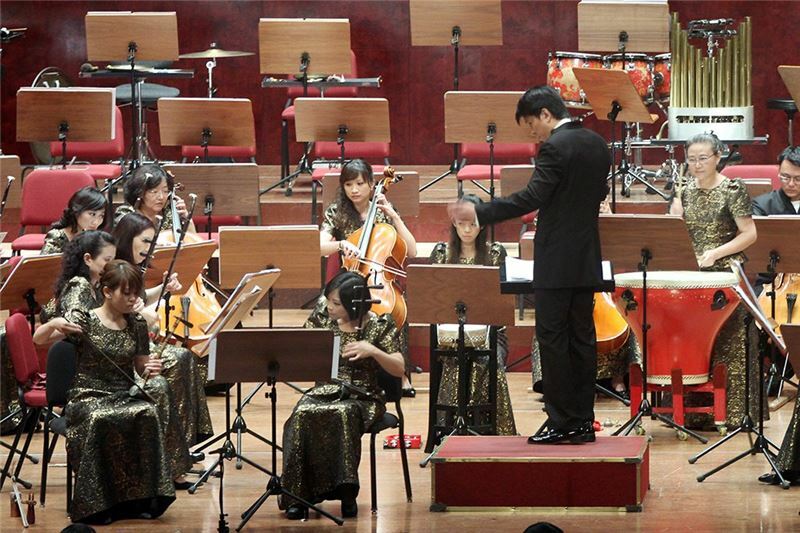 In this performance, the NCO played Taiwanese composer Huang Zhennan’s Fantasia of Taiwanese Opera theme Song. 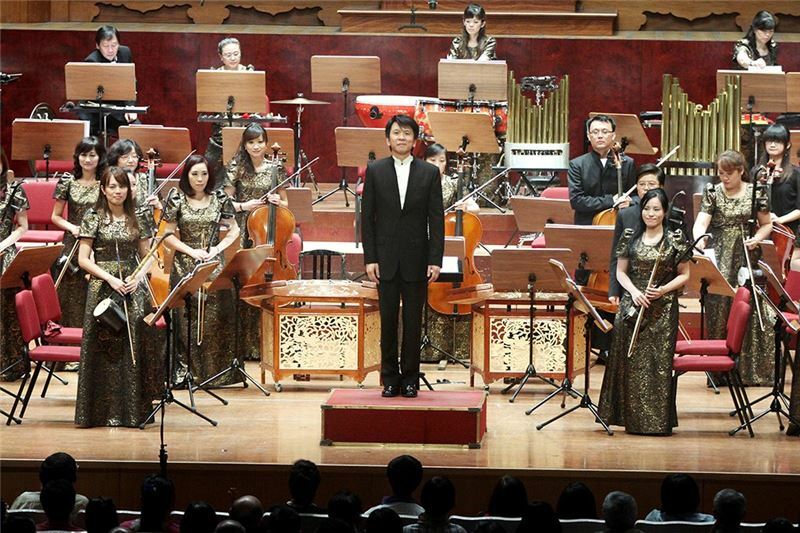 The arrangement features cultural elements from Taiwanese Opera tunes, such as diao, Dumadiao, Kudiao, and Qizidiao. These are all familiar tunes for Taiwanese,, representing special human features on this island. 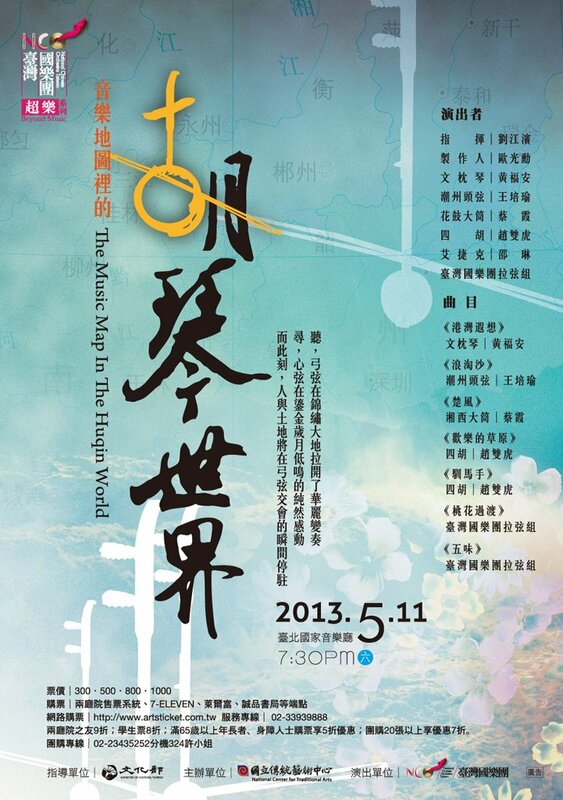 The chief instrument for playing Fantasia of Taiwanese Opera theme Song is the Daguangxian. The stringed instrument is the major accompanying instrument in shuochang performing arts and theater. 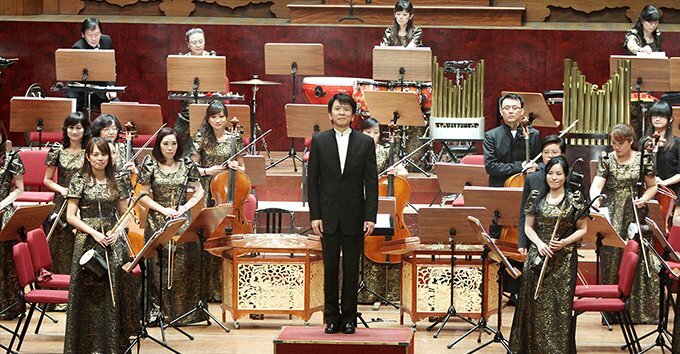 Since the general musical characteristic of Taiwanese Opera is sorrowful (like Kudiao and Qizidiao), creating a lyrical, yearning affection.When played on a Daguangxian, the melancholic nature is further highlighted.